Charles F. Brush High School hosted preventative heart screenings for student-athletes earlier in the week, as part of its ongoing dedication to prevent Sudden Cardiac Arrest amongst its school family. 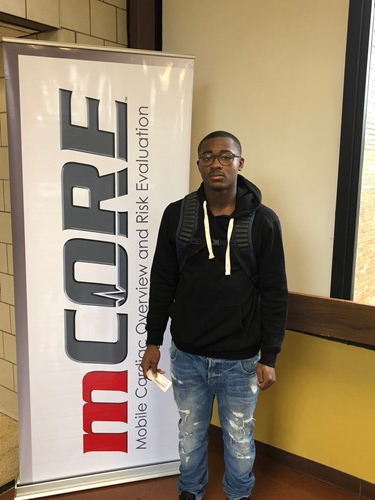 Conducted with the help of mCORE, which stands for Mobile Cardiac Overview and Risk Evaluation, and the 4Alec Foundation, over thirty-student-athletes received a screening which lasted 15-20 minutes and included an EKG and ultrasound by a registered cardiac sonographer. The results are sent to a cardiologist for review and to identify any potential issues. This marks the second year that Brush has hosted screenings performed by Columbus-based mCore, which has screened over 21,268 students in six states. Founded by Scott and Stephanie Kornet, the 4Alec Foundation is dedicated to increasing awareness and prevention of Sudden Cardiac Arrest and is named after their son and former Brush student, Alec Kornet, who passed away due to an undiagnosed heart condition in February 2017. The SEL Schools wish to thank mCORE and the 4Alec Foundation for supporting this important student health initiative.